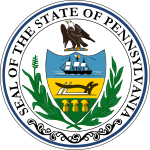 The Pennsylvania gubernatorial election of 1970 was held on November 3. Democrat Milton Shapp challenged incumbent Republican Lieutenant Governor Ray Broderick. Lieutenant Governor Broderick was unopposed for the Republican nomination. The Democratic campaign began with a bruising campaign in which Milton Shapp, electronics executive, defeated Auditor General and former State Senator Bob Casey for the second year in a row. As in the prior election, Shapp and Casey proved to be disparate personalities. The liberal and business-oriented Shapp ran an aggressive campaign into which he injected much of his own funding, while the affable Casey ran a relatively conservative campaign and appealed to labor and rural voters. Although Pennsylvania's Democratic establishment had not been keen on Shapp during his first run for the executive office, the support of Lieutenant Gubernatorial nominee Ernie Kline, a power broker within the party, caused support to much better coalesce behind Shapp than it had in 1966. Shapp, who is Jewish, also dealt with a lower degree of anti-Semitism during this campaign, as moderate voters were put off by the hateful messages that had been transmitted during the prior election cycle. Broderick's campaign faced an uphill battle, as he was forced to deal with the unpopularity of his boss, Governor Ray Shafer. Furthermore, Broderick was portrayed as unrealistic in his promises, as he asserted that he would not raise taxes, despite a massive state deficit. Broderick attempted to present himself as an ally of Richard Nixon and ran on a corresponding law-and-order platform; however, his tough stances often backfired, such as when outrage ensued over a Republican cartoon that depicted Shapp's liberal view as equivalent to the Viet Cong. Shapp won victory by a huge margin. His liberalism and local base allowed him to nearly win the suburbs of Philadelphia, a GOP stronghold at the time. Furthermore, he not only performed well in conservative Central Pennsylvania, but even defeated Broderick by a considerable margin in those locales. ^ The Pennsylvania Manual, p. 626. ^ The Pennsylvania Manual, p. 625.